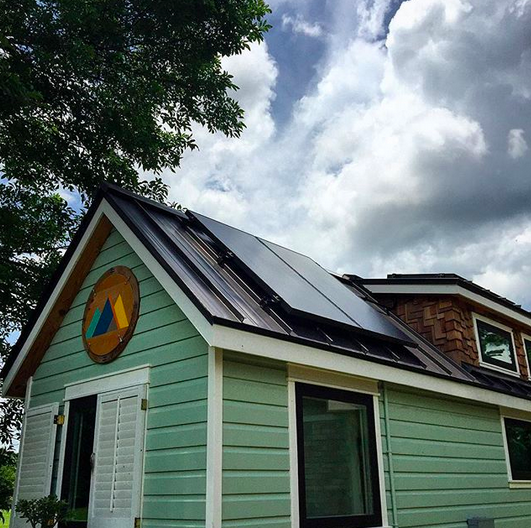 A recent survey revealed the top seven reasons why people buy tiny homes. Number four on the list? To deepen their appreciation for meaningful things. For many, this means setting up their home near nature, while others find joy in more urban settings. Regardless, it's all about the view. Windows are some of the most important features of your new dwelling. They make your house a home, give the illusion of a larger space and allow natural light to enter. As you strive to downsize, minimalize and turn your notion of a traditional home on its head, your tiny house windows should be top of mind. Today, we're sharing a few ways you can make yours as functional and beautiful as possible. Ready to learn more? Let's take a look. 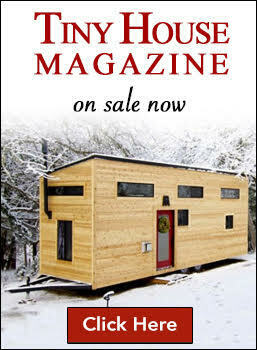 It's no secret that tiny houses don't boast a ton of square footage. In fact, most come in at under 400 square feet. Solid walls are necessary to divide living spaces and add necessary privacy. Yet, why not consider switching out one wall for floor-to-ceiling window panes? You can try different grid designs to find ones that suit your style. Choose a side of your home with the best view and don't be afraid to go bold. This look is ideal for your kitchen, living room, mini-office or any other room where you don't mind being on full display. In short, picture windows are ones that don't open. They serve an aesthetic purpose but not a useful one. That doesn't mean they can't be creative! 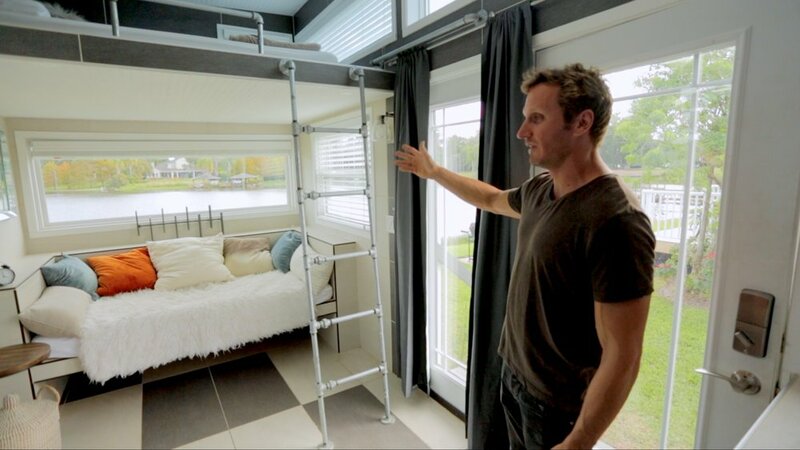 Customize your own tiny house by installing a picture window in the living room right above your sofa. Or, add a smaller-scale one in your bathroom or bedroom. The best part? Picture windows normally cost less than single-hung, double-hung or casement windows. That means you can afford to use as many as possible! Just don't place them in any high-moisture area such as your bathroom, as you'll need to open those windows for ventilation. The A-frame design of many tiny house lofts makes traditional, single-hung windows a challenge. You may not have enough space above and below the window opening to push the panes up or down. This is where an awning window shines! These are windows that open to the outside with a single push, then prop open when you want to let the breeze in. They'll ideal for those awkward spots where you don't have as much elbow room. Want to turn your loft into a luxurious treetop retreat? Install two awning windows across the room from each other, and open them up to full capacity. The cross breeze you'll create is pure paradise. Especially in a tiny house, personal design hinges on small, thoughtful touches. One of these is the addition of transom windows. These are narrow windows higher than eye level that hit right below the ceiling, normally installed over doorways or over a larger picture window. They're the unexpected addition that makes a world of difference. When installed over another window, they add polish and height to the overall space. When placed over a door, they allow light to filter in from the next room. Place a few over your casement bay windows and you'll instantly amplify the light that comes into the room. Are transom windows a requirement in your floor plan design? No. 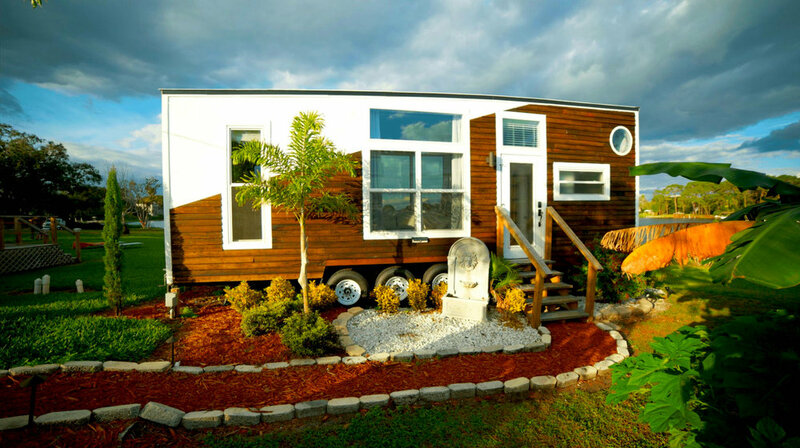 Do they add a ton of character and charm to your delightful tiny house? Absolutely. Love the idea of a home full of windows, but also cherish and crave your privacy? Try turning a few into stained glass creations! Whether you attempt the process yourself or hire an artist to take the reins, this is a great way to add color and personality to your home. Stained glass windows are ideal in bathrooms, bedrooms and anywhere else you want to let in light, but not the wandering eye of anyone else. You can also frame them with reclaimed wood to set them apart. Consider using lumber from a meaningful source as you incorporate these finishing touches in your tiny home. Not sure where to start? Research more information on ways to demolish any unused sheds or structures on your property, then use a few pieces to draw attention to your stained glass creations. When you're driving down the road, your tiny house is vulnerable to a host of environmental irritants, from flying gravel to bird droppings. This is when you'll want your windows to be as protected as possible, especially those on the tongue side of your trailer. Shutters work in this case, assuming they're functional ones that you can close on an as-needed basis. You can also attach a piece of plywood over these windows for the same purpose. Research popular shutter designs to find ones that fit your look. Board-and-batten ones are more craftsman-style while louvered designs are more traditional. Downsizing is a perfect opportunity to reassess what matters. 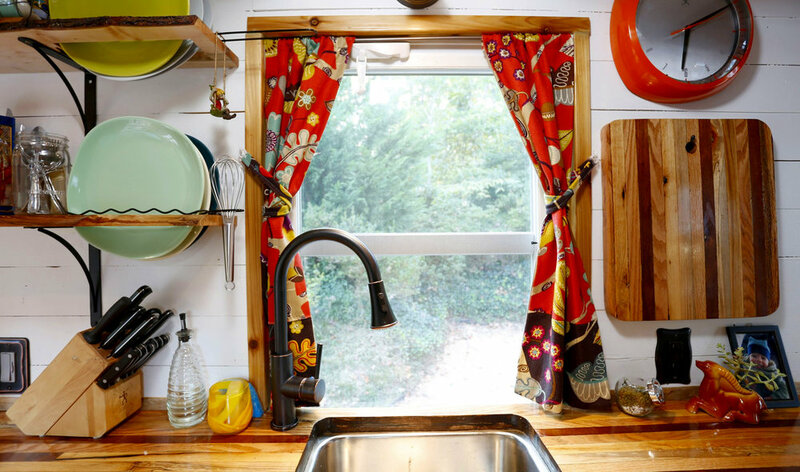 As you pare down your belongings and learn to live with less, tiny house windows are critical to helping you keep that perspective. How? One look out of them, and you're reminded of why you made this decision in the first place. 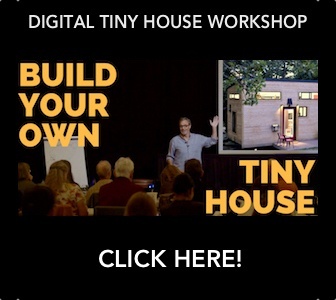 Want more inspiration on tiny house living and all the possibilities that await outside your front door? Be sure to follow our travel vlog! 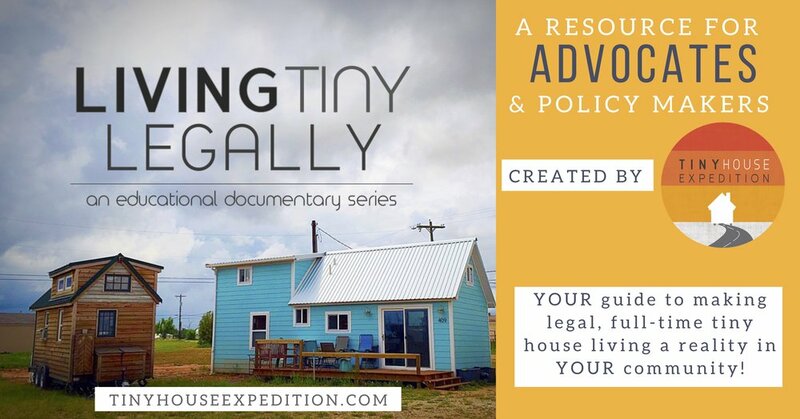 We're the proud owners of the world's most-traveled tiny house and we want you to follow along on our adventure. Get in touch today to learn more and follow our event calendar to find out where we'll be rolling to next!